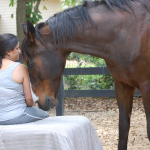 Offering the mind/body/spiritual practices of Holotropic Breathwork™, Horse Facilitated Experiential Learning, Craniosacral and Visceral Manipulation Massage Therapies in the Tampa Bay area. Holotropic Breathwork™ a universal practice that uses a focused yet easy style of breathing, combined with evocative and powerful music to promote a non ordinary state of awareness with self which informs and enhances personal growth and healing. 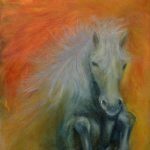 Equine Facilitated Experiential Learning is a means of harnessing a deeper appreciation of all aspects of self and one’s relationship with life. 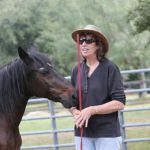 The non judgmental nature of our gentle horses creates a memorable and enjoyable take home experience that can be transformational at many levels. (No horse riding or horse experience required). Both Craniosacral and Visceral Manipulation are very gentle bodywork therapies which focus on listening to and engaging with the wisdom of the body to initiate and restore the body’s own healing mechanisms to improve health and well being. "supporting you on your journey...."
© 2015 Insideout Discoveries LLC..